Washington, D.C. – (RealEstateRama) — Existing-home sales crept forward in January to the highest annual rate in six months, and subpar supply levels propelled price growth to the fastest increase since last April, according to the National Association of Realtors®. The West was the only region to see a decline in sales in January. Total existing-home sales1, which are completed transactions that include single-family homes, townhomes, condominiums and co-ops, inched 0.4 percent to a seasonally adjusted annual rate of 5.47 million in January from a downwardly revised 5.45 million in December. 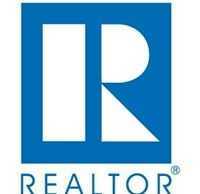 Sales are now 11.0 percent higher than a year ago – the largest year-over-year gain since July 2013 (16.3 percent). The median existing-home price2 for all housing types in January was $213,800, up 8.2 percent from January 2015 ($197,600). Last month’s price increase was the largest since April 2015 (8.5 percent) and marks the 47th consecutive month of year-over-year gains. Total housing inventory3 at the end of January increased 3.4 percent to 1.82 million existing homes available for sale, but is still 2.2 percent lower than a year ago (1.86 million). Unsold inventory is at a 4.0-month supply at the current sales pace, up slightly from 3.9 months in December 2015. The share of first-time buyers remained at 32 percent in January for the second consecutive month and is up from 28 percent a year ago. First-time buyers in all of 2015 represented an average of 30 percent, up from 29 percent in both 2014 and 2013. All-cash sales were 26 percent of transactions in January (24 percent in December 2015) and are down from 27 percent a year ago. Individual investors, who account for many cash sales, purchased 17 percent of homes in January (15 percent in December 2015), matching the highest share since last January. Sixty-seven percent of investors paid cash in January. According to Freddie Mac, the average commitment rate(link is external) for a 30-year, conventional, fixed-rate mortgage stayed below 4 percent for the sixth consecutive month and declined in January to 3.87 (lowest since October 2015 at 3.80 percent) from 3.96 percent in December. The average commitment rate for all of 2015 was 3.85 percent. Properties typically stayed on the market for 64 days in January, an increase from 58 days in December but below the 69 days in January 2015. Short sales were on the market the longest at a median of 77 days in January, while foreclosures sold in 57 days and non-distressed homes took 61 days. Thirty-two percent of homes sold in January were on the market for less than a month. Distressed sales4 – foreclosures and short sales – rose slightly to 9 percent in January, up from 8 percent in December but down from 11 percent a year ago. Seven percent of January sales were foreclosures and 2 percent were short sales. Foreclosures sold for an average discount of 13 percent below market value in January (16 percent in December), while short sales were discounted 12 percent (15 percent in December). Single-family home sales increased 1.0 percent to a seasonally adjusted annual rate of 4.86 million in January from 4.81 million in December, and are now 11.2 percent higher than the 4.37 million pace a year ago. The median existing single-family home price was $215,000 in January, up 8.3 percent from January 2015. Existing condominium and co-op sales fell 4.7 percent to a seasonally adjusted annual rate of 610,000 units in January from 640,000 in December, but are still 8.9 percent above January 2015 (560,000 units). The median existing condo price was $203,900 in January, which is 7.4 percent above a year ago. January existing-home sales in the Northeast increased 2.7 percent to an annual rate of 760,000, and are now 20.6 percent above a year ago. The median price in the Northeast was $247,500, which is 0.9 percent above January 2015. In the Midwest, existing-home sales rose 4.0 percent to an annual rate of 1.30 million in January, and are now 18.2 percent above January 2015. The median price in the Midwest was $164,300, up 8.7 percent from a year ago. Existing-home sales in the South were at an annual rate of 2.24 million in January (unchanged from December) and are 5.7 percent above January 2015. The median price in the South was $184,800, up 8.5 percent from a year ago. Existing-home sales in the West decreased 4.1 percent to an annual rate of 1.17 million in January, but are still 8.3 percent higher than a year ago. The median price in the West was $309,400, which is 7.4 percent above January 2015. NOTE: NAR’s Pending Home Sales Index for January will be released February 29, and Existing-Home Sales for February will be released March 21; release times are 10:00 a.m. ET.